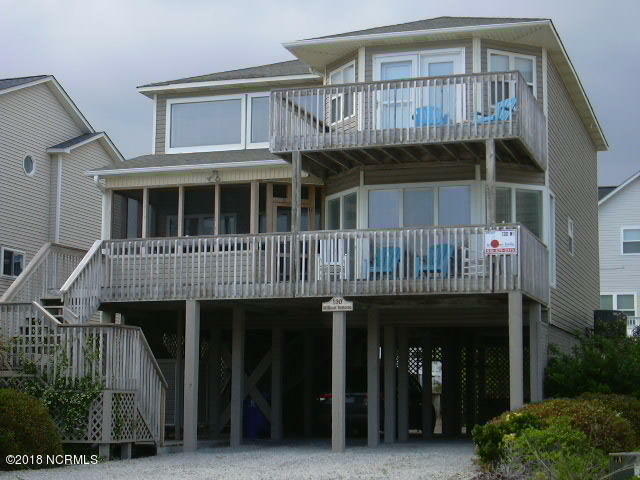 This 4BR, 3 BATH Ocean Isle vacation home is conveniently located to the pier, museum, miniature golf course, shops, and restaurants. Very well constructed, this second row beach home has newly installed (May 2018) CORTECK luxury vinyl plank throughout the main floor living area and bath. A new sofa, love seat, and swivel chairs were also added May 2018. The home is being sold FURNISHED and features a large master bedroom with an ocean view from the private upper deck. A large screened porch, sun deck, covered parking, storage room, and fenced backyard are additional features. Two beach accesses are located within a half block.